FM Justus Williams of Webster University has spent the semester abroad in Thailand at the satellite campus. He is finishing his second year and appears to be having a great time thus far. He told me back in February, “Thailand has been great so far. I really like it. 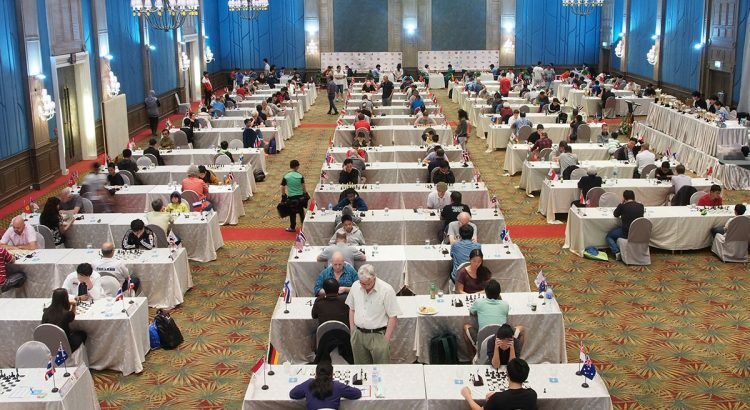 From the weather to the food.” As fortunes would have it, he is in the country during its strongest chess tournament and one of the strongest in southeast Asia. 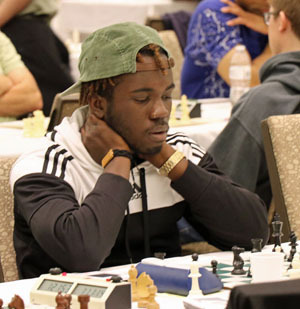 For a country with modest chess community, it is an opportune time for Justus to make a strong showing to complete his requirements for the IM title. He is poised to gain a number of ELO as there are many strong players he can take down. So far, he has been paired down the first two rounds. The defending champion is GM Nigel Short (2662), but he is not the top seed. 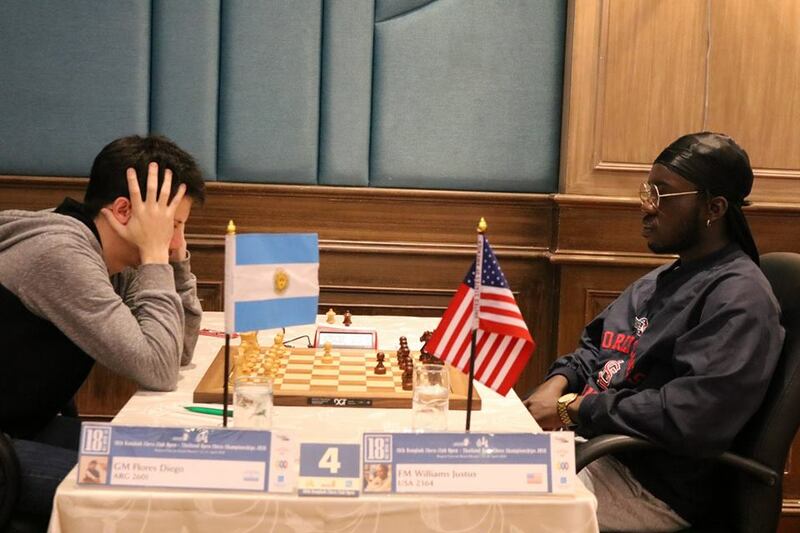 Armenian Grandmaster Hrant Melkumyan (2669) will defend the top board among 16 GMs and 66 titled players from approximately 300 players. Russian veteran Alexander Morozevich is also among the contenders. India has brought a large contingent with 39 players. Justus is ranked 29th at 2364 FIDE. He is looking to gain some of the 36 points needed to secure the IM title. For Justus, this tournament will represent the first major activity since competing for Webster University at the Pan-Am Intercollegiate in December. 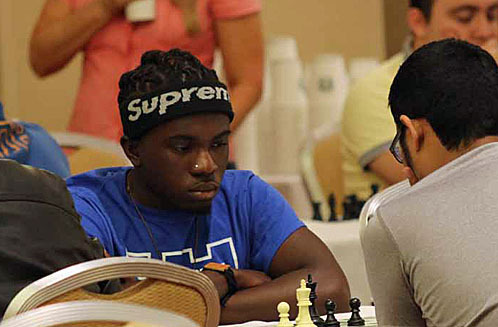 In that tournament he beat Polish Grandmaster Kamil Dragun of University of Texas-Brownsville. It would not come as a surprise if he came away adding to his handsome collection of GM scalps. Love you baby!! do you! Big test next round. 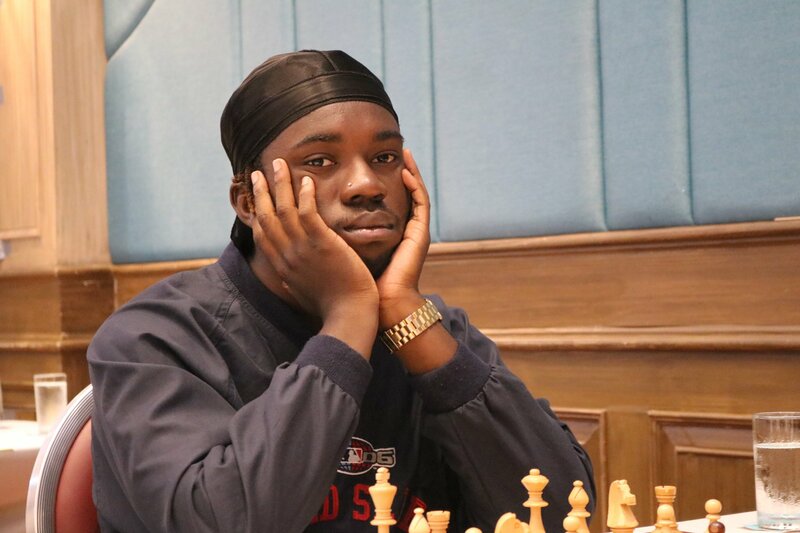 Somebody about to give up some FIDE rating points. I love Justus and Josh. I pray for these young brothers often and had the honor of meeting and playing blitz with both. Both are gentlemen and respectful from young ages. I have love for them as my own students. God bless them and their parents, and their endeavors. Not sure what happened in the 6th round. I see a “0K” recorded for Justus. I believe that means a forfeit. Looking for details. I forgot to close the loop on this story. Essentially, Justus’ professor would not allow him an excuse for missing class.